This weekend is Mother’s Day. The first Mother’s Day since my Courtney went home to Heaven. Jerry asked me last night what I wanted for Mother’s Day. I was taken aback for a minute because I had not realized that it was this weekend. I took a deep breath and told him that all I wanted was a grave stone for Courtney. He smiled and said that was a little outside his budget for this weekend. Since Courtney died things have been a bit easier financially. All of Courtney’s immediate medical debt has been paid off with what was raised by the GoFundMe back in the fall as well as using some of her life insurance money. This was a HUGE gift(thank you so much to all who contributed) to Jerry and I and relieved some of the immediate strain. It has made day to day living a little easier for certain. Then Jerry was in a car accident and totaled his car. This forced us to purchase a used “new to us” car. We also gave Big Bertha to another family and got a second used car for me to drive. There were also two major repairs for the house in the last few weeks. These necessary purchases and repairs used the remainder of Court’s life insurance money, some of which we had set aside for a headstone. Then this happened and well, the dam broke open. Her loss has been very hard for me to deal with this past month. My heart hurts because there is no marker for my daughter. Hell, my heart hurts because there is a need for a headstone. We have made some calls and done the research needed. We will need a grey granite stone (this is a requirement from the graveyard she is in) that will sit above ground, not flat. The price tag runs between $1700-$2000 including engraving and such. That’s out of the realm of possibility right now and I know that it will be at least six to eight months before we can make it happen on our current savings plan. I smiled and said Courtney was gone and I could be patient and save over the next year to make it happen. I am tired of asking for help. Just.so.tired. On the way home, I prayed out loud and asked God for some clear direction on this. I told him I just wanted something simple with her name, so that she would not be forgotten. I have a desperate need to see her name in stone. To have something to look at when I visit her, instead of dirt and a plastic sign. It was an emotional drive home. I miss my sweet Courtney so much. I was not expecting to have such a hard time with this weekend and it’s significance. I let it go and went on with my afternoon. Then I opened my email. 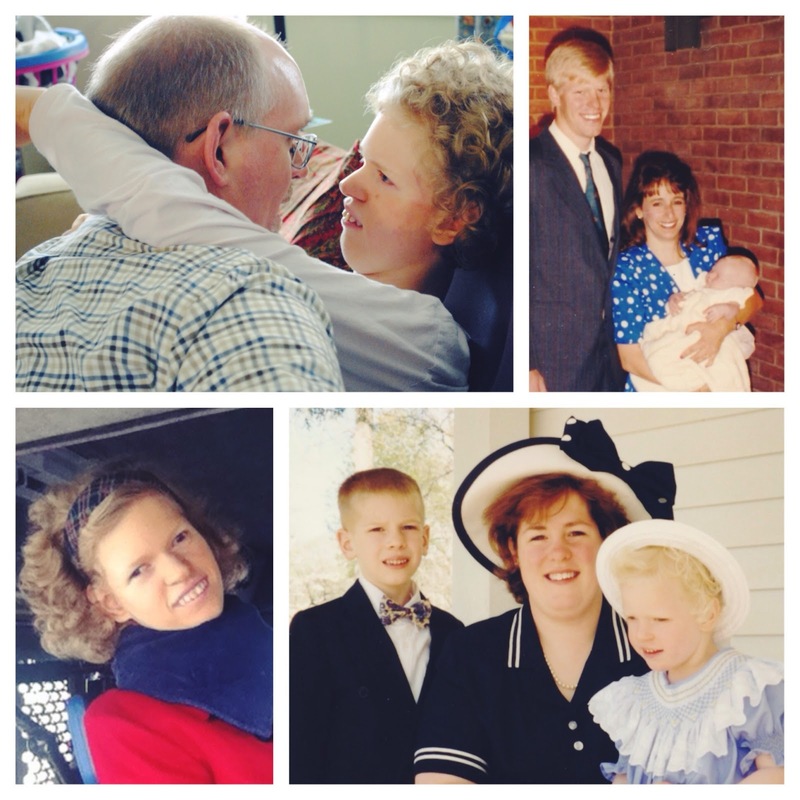 There were several emails from readers and family friends inquiring on how they could help us best honor Courtney, especially this weekend, her first Mother’s day in heaven. OK, Holy Spirit. I get it. Whatever is given, we will set aside directly toward the purchase of her headstone. If you don’t wish to use PayPal but want to contribute, please email me at mary_romance@cox.net and I will send our snail mail address if needed. Thank you for your love, your support and your prayers. I know that I will be emotional this weekend, but you know, it’s OK.
Actually, I’m not OK. I don’t think I will be for a very long time. That’s just how grief goes I guess. Hugs, kisses and more hugs friend. You are in my prayers. A rosary is comin' just for you. Headstones are important and definitely a need! My great Aunt Vivian's grave was left unmarked for years and it tore at my great grandmother's and my grandfather's hearts. (You can read about our quest to get Vivian's grave marked here.) Thank you for letting us do this for Courtney. She gave us so much! Thank you for allowing the Holy Spirit to work in you during your time of need and grief. 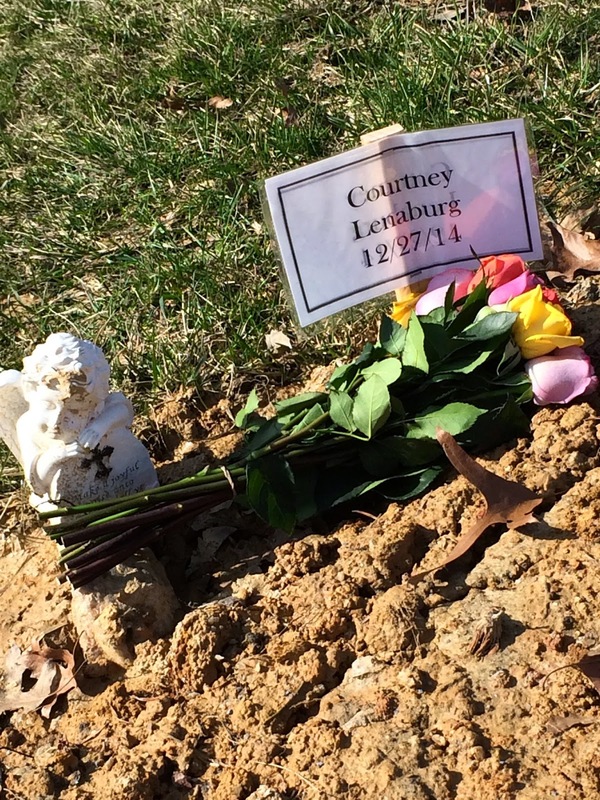 May God bless your family and Courtney's grave with a headstone she deserves and you need. Keeping you in prayer always and especially this Mother's Day weekend! I cannot afford to donate, but I wanted to let you know that I completely understand your need for a headstone. When my brother died my parents decided to have him cremated while they decided where to bury him. His death was unexpected, so we had had no time to prepare. Instead of deciding, they kept his ashes in their house for four years and when they did inter him, did not inform me of the burial or the burial site. I had to call around and ask their archbishop for likely cemeteries, and then call the cemeteries. It was such a relief to find his resting place. My prayers are with you during your time of grief. It doesn't get easier, but you get stronger in order to bear it, I think. It is okay not to be okay. That time will come again, but right now you need to feel exactly what you're feeling – it's not fun, and it's very, very hard, but it's a part of grieving and it will help you in the long run. God bless you. Surely your darling daughter's struggles in this life cleared her a swift path to heaven, where she awaits you, fully restored and clothed in glory and joy. Heck yes we can do this!!!!!!! Oh, Mary. I'm so sorry. I hope we can help you with this, thank you for letting us journey with you through this, you're a great mom! I was just at the cemetery today to visit my mum's grave before mother's day here in Australia. I left a little pot plant and holy card. And I had been thinking today that I should donate to a charity this weekend in her memory. And as I was leaving I was thinking the cemetery will be so busy this weekend. So there you go I've just donated. I just know that you'll get a beautiful headstone, it really means so much to have something beautiful there to see, to touch, to clean and to pray before. I've been following your blog and FB page before and after Courtney went to heaven. Being a catholic mum and having a daughter with special needs I was just instantly hooked. God bless you and your family and I look forward to a photo of that headstone when it comes. Oh Mary…be assured of my prayers! I will spread the word and donate what we can too! I'm relatively new here, though I read some of your story over the years, and I am happy to be able to help with this need. Praying for you to have a peaceful Mother's Day. It's okay not to be okay. In fact, if you really were okay, I would think something was wrong! Praying that you find peace, joy, comfort and love this Mother's Day and every day forward. It's going to be a long road Mary. In some form or fashion, you will always carry the weight from your grief, but with God's help and the love and support of your family and friends, you will make it. Mary, our budget is so tight right now but I couldn't NOT donate. I talked with hubby and this year, the money for my own gift is going to you instead. Love you and can't wait to hug you at Edel! I'm praying for you in a special way this weekend. I hope you get your Mother's Day wish. We're still waiting for our little Agnes' headstone to come in, though it has been ordered. I understand the need, for sure. We're contributing. Prayers for you this weekend. It's going to be a hard one for me too. Oh, Mary, it makes me want to cry hearing she doesn't have a headstone. Thank you for putting up the button! Prayers for you esp. this Mother's day. I totally get it. There's a little brass plaque in the columbarium of our old parish for our son. Something about seeing the name in a permanent material. Sharing this. And hoping to see it on Instagram when it happens and you're ready to share.